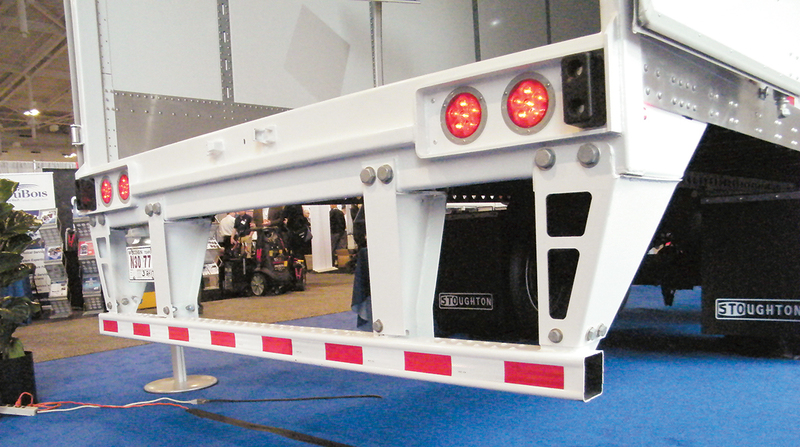 The Commercial Vehicle Safety Alliance has petitioned federal regulators to eliminate a requirement that manufacturer certification stickers be on truck and trailer rear underride guards. The purpose of the labels is to confirm that the impact guards meet federal production standards but does not ensure that the guards are properly maintained over time, according to CVSA. The petition request came as the result of a special one-day enforcement effort by CVSA inspectors last summer to take a closer look at the condition of rear impact underride guards, a requirement of both Level I and Level V inspections. The enhanced enforcement was in response to a congressional request for commercial motor vehicle inspectors to spend a day collecting data on the condition and maintenance of rear trailer and truck underride guards. The request was made by Sens. Kirsten Gillibrand (D-N.Y.) and Marco Rubio (R-Fla.), who in late 2017 introduced a bill calling for a regulation that would require trucks weighing more than 10,000 pounds ensure that rear guards meet a specified performance standard. Last month, the Senate bill, along with a companion House bill, were reintroduced. Underride guards are intended to help prevent vehicles from sliding underneath a semi-trailer during a rear-end crash. The August one-day inspection data showed that 72% of trucks did not have the certification stickers attached to their rear guards, said Kerri Wirachowsky, director of CVSA’s roadside inspections program. “But a truck could still have a damaged, warped, bent or broken rear guard even if it has a certification label attached,” she said. Checking the guard for the certification sticker and for its condition and proper placement on the back of the truck is part of a Level I inspection. Although a rear guard violation does not put a truck out of service, it does prohibit the inspector from issuing a CVSA decal for a truck, Wirachowsky said. The certification sticker is not subject to an out-of-service violation because it is not going to cause a crash, she said. But the certification label issue was not the only lesson learned from the day of rear underride-guard special-enforcement emphasis last summer, she said. As a result, CVSA put together a training review module for the inspection of rear impact guards.